Fel is a long-time gamer and platypus lover. He debuted in the game industry with his first game, Warzoo, published Galápagos Jogos, which corrected the injustice that nowhere was there a platypus as the main character in a game. He went on to develop several other family games before joining CMON as a Senior Game Developer. He has worked on such projects as Massive Darkness, The Godfather: Corleone’s Empire, World of Smog: Rise of Moloch, and Rising Sun. He has also designed Gekido: Bot Battles and Looterz. Feel free to challenge him to his own games during CMON Expo! 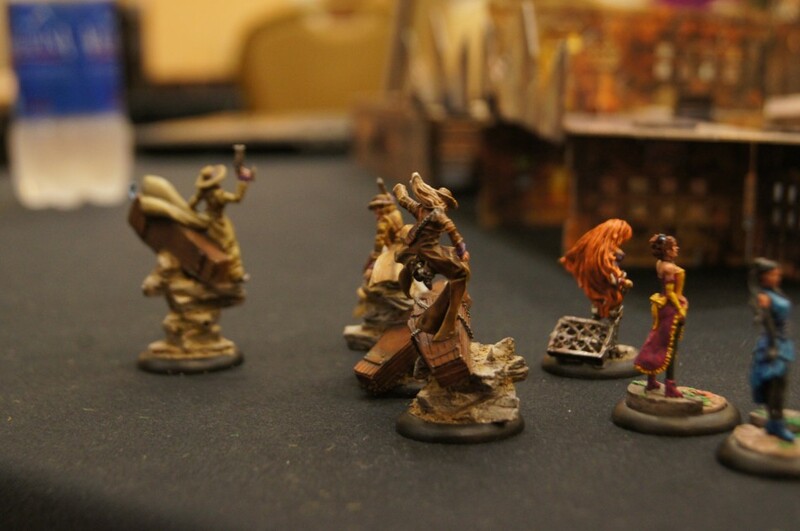 Jen Haley has painted more miniatures than she can count. 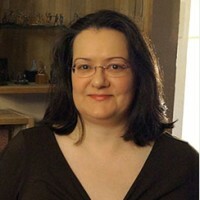 Currently her work can be seen on promotional materials, books and boxes for games like Dark Age and Wrath of Kings. And when it comes to conventions, Jen can usually be found sitting at a painting table working on her latest piece. While talking to Jen might be somewhat intimidating, considering the numerous awards she has won and the prestige she has as a celebrity judge, she’s always willing to swap tips and tricks for getting your miniatures looking just right. 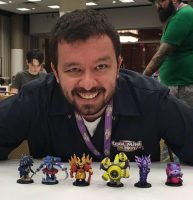 Eric M. Lang is the Director of Game Design at CMON and is a tabletop industry veteran, having been designing games for over 20 years. During his career, he has worked with such companies as Wizards of the Coast, WizKids, and Fantasy Flight Games, and has designed games based on Lord of the Rings, Star Wars, and Game of Thrones. With CMON, Eric has designed several beloved titles, including Blood Rage, Rising Sun, A Song of Ice and Fire: Tabletop Miniatures Game, and more. In 2016, Eric was the recipient of the Diana Jones Award for Excellence in Gaming. 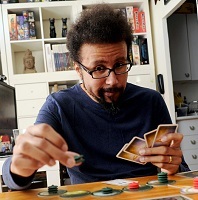 Other accolades include multiple The Dice Tower Awards and five Origins Awards. 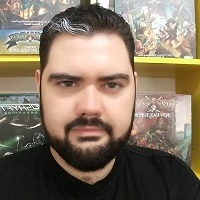 Joining CMON as a developer for Dark Age, Michael has since gone on to design numerous games during his tenure at CMON, including Wrath of Kings, Xenoshyft, Rum & Bones, and the A Song of Ice and Fire: Tabletop Miniatures Game coming later this year. Now working as Senior Developer, Michael devotes his days to solidifying game rules and designs, and splits his nights between competitive online gaming and working to find the actual end of the internet. Join him at CMON Expo to gain access to secrets long forgotten and a wealth of forbidden knowledge! You may know the award-winning painter Elizabeth, aka ‘Miniature Mistress,’ from the instructional Patreon, Miniature Monthly. Or from her appearances on the Hobby Hangout podcast. Or from her work as a studio painter for Kingdom Death, Panda Cult Games, Soda Pop Miniatures, CMON, and other producers. In between all this, she loves naps on a cool spring day, petting dogs, and creeping in photos. We’re happy to have her join us again this year to share her painting secrets! For years Rhonda Bender was a normal gamer. Then in 2003 she painted a miniature and was hooked. Since then Rhonda, aka Wren, has become a noted painter, currently working as a studio artist for Reaper Miniatures and Dark Sword Miniatures. Her smooth brushwork and playful use of color have taken honors in painting competitions throughout North America. She is a seasoned instructor who is also the author of Reaper Miniatures’ new Learn to Paint Kits. Her enthusiasm, approachability, and teaching skills have made her a frequent guest of honor at game industry events. We’re pleased that Rhonda will be joining us again as a guest artist for this year! Brittanie “Bebo” Boe is a table top gamer of more than 20 years. She used her B2B marketing experience from the Insurance industry to make her way into the game industry. She’s been doing game coverage for more than 5 years now and owns a new media company, Be Bold Games which made its premiere in early 2018! 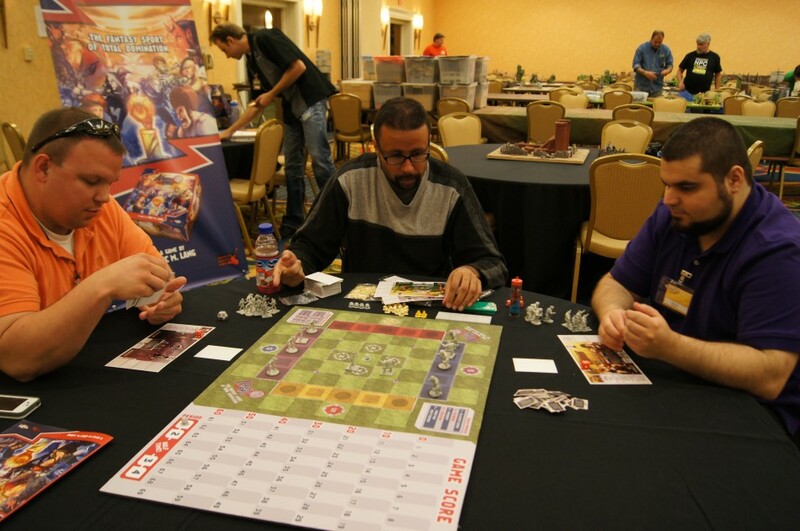 Roy Cannaday is a board game media content creator and an enthusiast for all things gaming. He resides in North Carolina with his wife and two children. 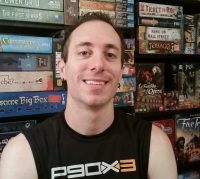 As a contributor to the Dice Tower, he does reviews, appears on various videos, and host the weekly Favorite Game Friday. Roy also hosts Epic Gaming Night, a weekly podcast focused on board games and the stories and relationships they create. He has an active following on Instagram, where he encourages his audience to share their experiences with gaming. Roy is a fan of epic games that create experiences around the table with friends and family. Zee Garcia has a Bachelor’s Degree from Florida International University in Fine Arts/Theatre. He has previously taught theater for several years, directed over a dozen plays, and been involved with multiple South Florida and New York theaters and theatrical companies, including Murder Mystery, Inc. and The Broward Center for the Performing Arts. He has enjoyed board games for over a decade and has been working with The Dice Tower for years. Zee films and edits reviews, interviews, Top 10 lists, and more. He also hosts and produces Board Game Blender. He lives in Florida, where he has lived for most of his life. 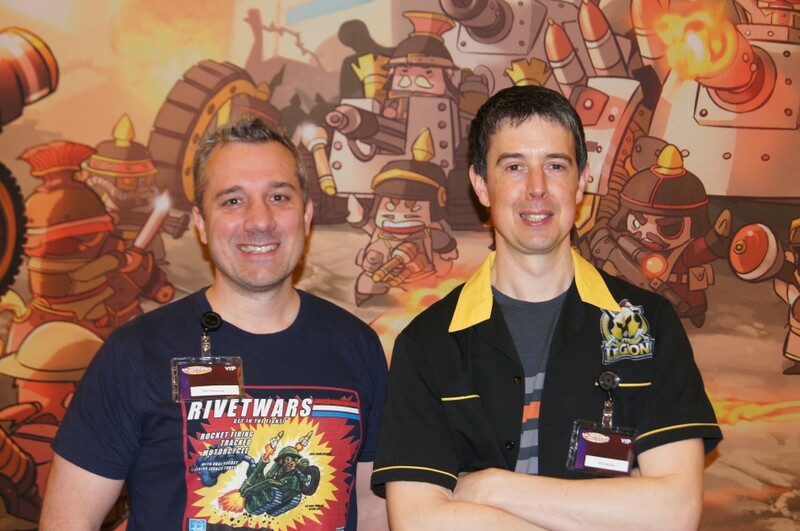 Robert Geistlinger is a contributing reviewer for The Dice Tower who focuses on board games that fly under the radar. He first started reviewing board games back in 2016. His first board gaming love was Advanced Civilization, now mostly plays Euro-style games. When not trading spices or coal, he enjoys dungeon crawling and painting miniatures. 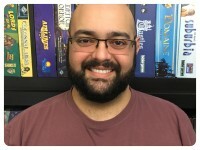 In addition to his work on the Dice Tower, and his segment on the DT Show “Crowd Surfing”, he also maintains a small secondary channel under the name The Blue Player with a focus on Kickstarter games and solo play-throughs of games. 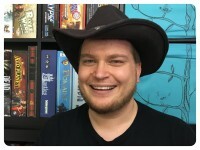 Sam Healey is a reviewer and editor for The Dice Tower. 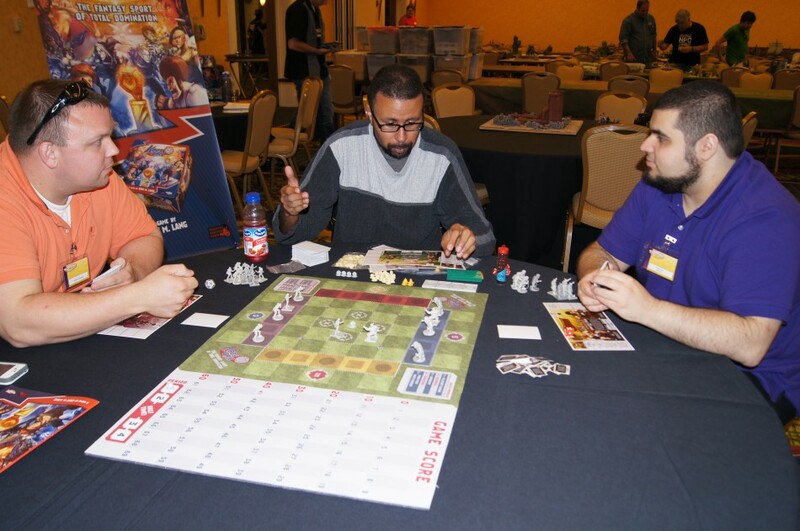 He is also the co-host of The Dice Steeple, a podcast about the board game hobby from a distinctive Christian perspective, with an interest in bridging the gaps between various world-views. He chooses to not align strictly with either the Eurogame or Amerithrash crowd, but instead enjoys playing whatever flavor of game has been chosen for the day. For Sam, it’s more about the camaraderie around the game, than the game itself. He lives in Homestead, FL with his beautiful wife and their four children. 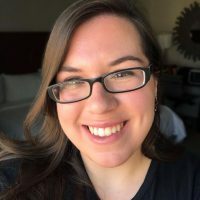 Mandi is a member of The Dice Tower Team where she co-hosts the bi-weekly Dice Tower podcast with Suzanne Sheldon and also appears on The Dice Tower’s Monday night “Teach and Plays” with co-host Michael Corneau. She also creates video reviews with co-host Caryl Tan on the To Die For Games YouTube Channel, of which she is the Founder. Some of Mandi’s other hobbies include snowboarding, football, makeup artistry, and sewing. Favorite games that you can find on her shelf include Viticulture, Food Chain Magnate, Caverna, and Trajan, among others. 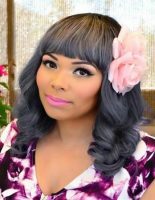 She enjoys pinup fashion and is easily recognizable by her hair color. 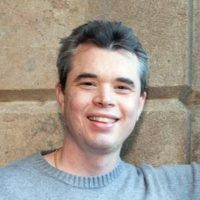 Dan King, The Game Boy Geek, is on a mission to help you find the next board game you’ll love by attacking reviews and Rules Schools with high energy. 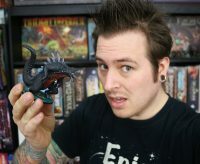 Over the last 5 years, he’s produced over 1500 videos about board games with the majority of those being reviews, and they’ve had over 6.5 million views. He’s also a saxophone artist and serenades games as an induction to his gaming library if they make the cut. 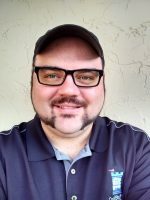 Dan thrives on being an engaging member of the board gaming community and spreads his contagious energy to everyone he meets one hug at a time (he’s a “hugger”). 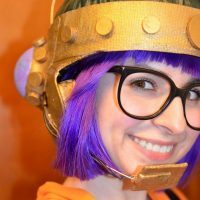 Teri Litorco is managing editor of Geek & Sundry, a YouTuber blogger, and author of The Civilized Guide to Tabletop Gaming. 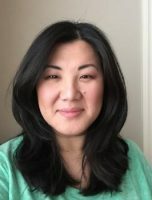 She bills herself as what would happen if Rachel Ray and Martha Stewart combined to make a person who loved miniature wargaming more than cooking and folding laundry. 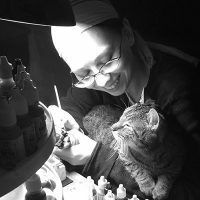 While a long-in-the-tooth hobbyist herself, having been painting and playing with miniatures for over 15 years, her goal is simple: to demonstrate to the world that painting models and playing games is both fun and easy, and even people who have never picked up a brush or dice can easily learn and love to do both. Dawn & Gianna Lomax have been part of the Beasts of War team for the past 5 years, providing state-side presence for the gaming website. The ladies write regular news articles and reviews, as well as Live Blogging from several US shows. They share an absolute love for gaming, but have vastly different hobby interests, which makes for interesting conversation from their two perspectives. Dawn is a Kickstarter addict, loves board games, cosplay, and anything fantasy, steampunk, or horror related. 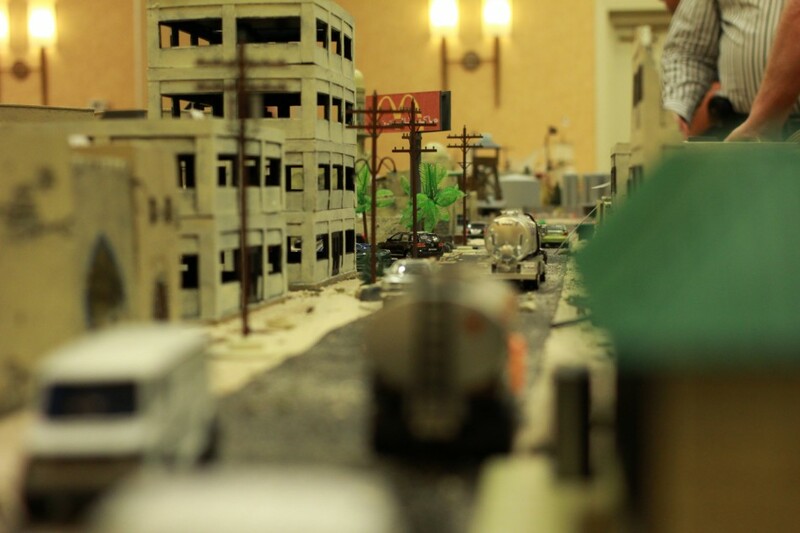 Gianna is all about historicals, miniature wargaming, and 3D printing. Be sure to stop by and say hello to the BoW team. 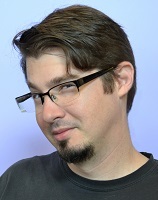 Derek Porter is the Dice Tower’s full-time video editor and producer. He has been an avid gamer since childhood, focusing primarily on video games until delving into tabletop gaming in 2009. He attended the University of Colorado at Colorado Springs and graduated with a degree in Communication with an emphasis in Recording Arts while spending his time as a professional live sound engineer. He can be seen playing video games periodically on his Twitch channel and occasionally playing board games live on the Dice Tower. He is currently living in Homestead, FL with his wife Tiffany and twin sons. Nathan Pullan is Teri Litorco’s partner in crime, often found joining her on her YouTube channel to talk about, paint, and play games (or just letting the zombies take her out while playing Zombicide so he can make a hasty escape). He previously hosted the now-retired miniature gaming podcast Jaded Gamercast and now occasionally contributes as a writer to Geek & Sundry. Nathan will never decline a game of Dark Age, Wrath of Kings, Blood Rage, or Unfair, though he regularly loses to his 9-year-old daughter at Potion Explosion (but, hey, you can’t win ‘em all). 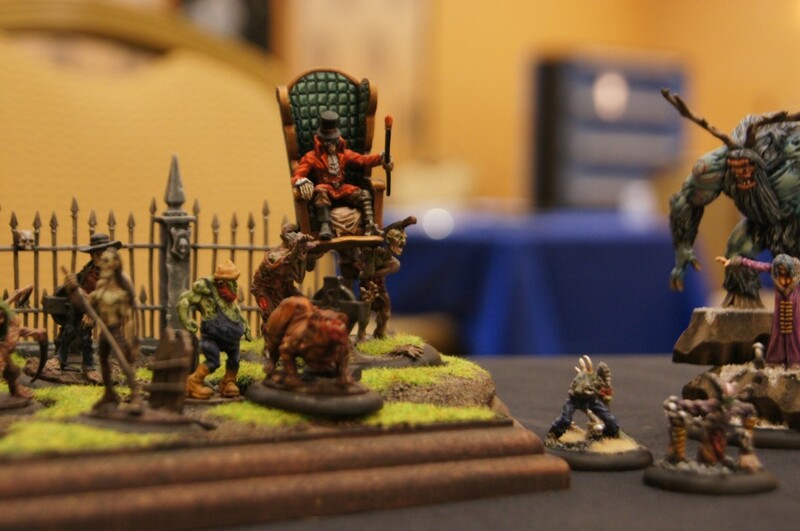 Randy Shea has been painting miniatures for over 15 years and is known online as CreganTur. In 2010 he began as a product reviewer for WAMP and Portal magazine, later taking on the role of Review Editor. Then, between 2016 and mid 2017 he founded and wrote for StoneTowerReviews. 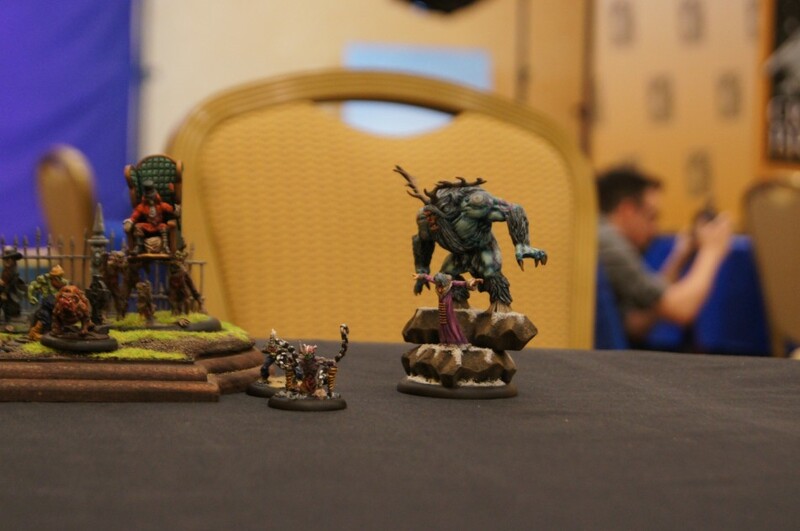 In the 2016 Road to Crystal Brush competition he earned Bronze overall. While not currently writing reviews, Randy continues to paint and sculpt for commissions, competitions, and love of the hobby. Suzanne has been gaming her entire life, but was pulled forever into the hobby gaming world by Magic: the Gathering back in 1994. While at her LGS one day, someone brought out RoboRally. From then on, she was hooked. She doesn’t have any particular style she loves the most, enjoying everything from light party games to heavy Euro-style affairs. She does wish, though, that French fries and pie were seen as more-appropriate gaming foods. Currently, she lives in Seattle, WA., where she’s happy to have such a large gaming community to interact with. She’s married and has two children. 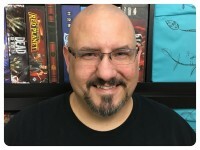 Tom Vasel is the host of The Dice Tower, a network of video and audio podcasts about the board game hobby and those who play within it. The Dice Tower audio podcast has been going strong for many years, and the various video reviews from a myriad of contributors, Top 10 Lists, and convention coverage videos are averaging over 2 million views a month on YouTube. Tom’s own reviews have been referenced in such places as MTV, Spiegel Online, The Christian Science Monitor, The Escapist, The Oregonian, Wired, and Intensities: The Journal of Cult Media. He lives in Homestead, FL. with his wife and their seven children. 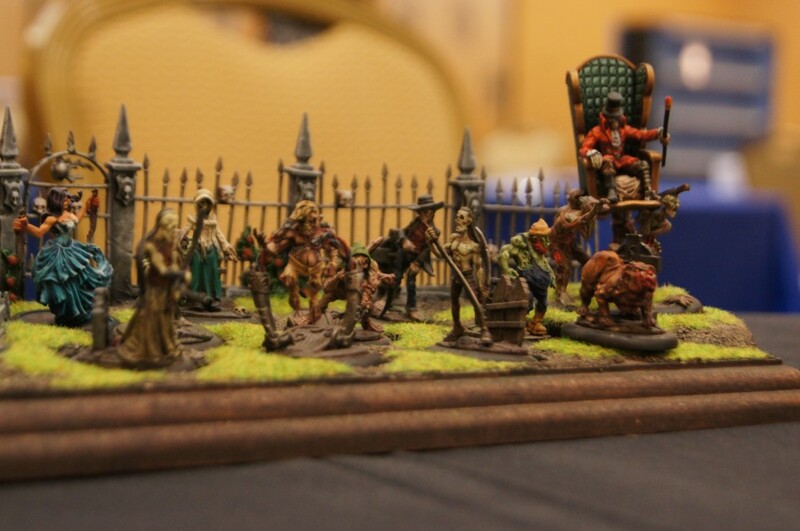 Artist Clay Williams has been painting miniatures since the 1990 release of HeroQuest. His Primary area of focus has been Games Workshop models. With the growing popularity of many new miniatures games and collector ranges, Williams’ work gained a loyal following, and he has concentrated his efforts on commission painting since 2011. 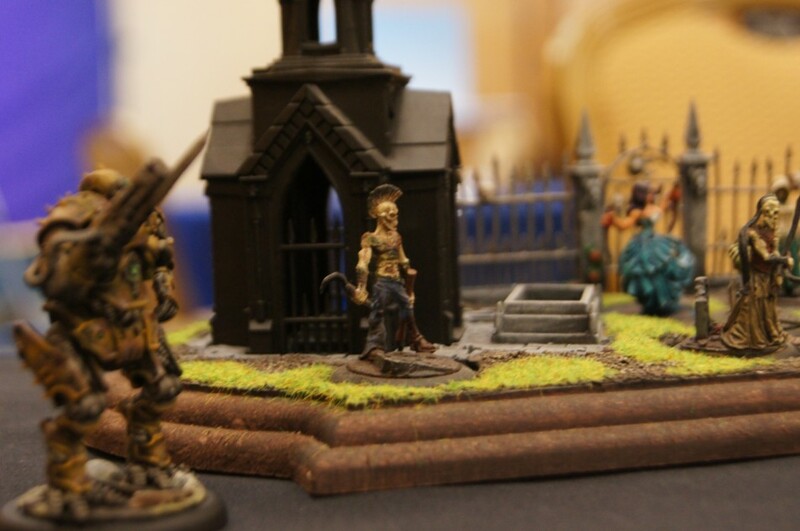 He opened Mastermind Models and Miniatures in Huntsville’s historic Lowe Mill (the largest privately owned artist collective in the United States) in 2014, and has successfully created a special niche in providing miniature painting classes and hobby services. The Mastermind studio has six dedicated workstations with lights, power, tools, and airbrush terminals for students and members. Mastermind also employs many talented miniature painters who are committed to producing the best commission service and experience for all their clients worldwide.